SPS Italia 2019 is ready to talk about smart, digital and flexible industry. 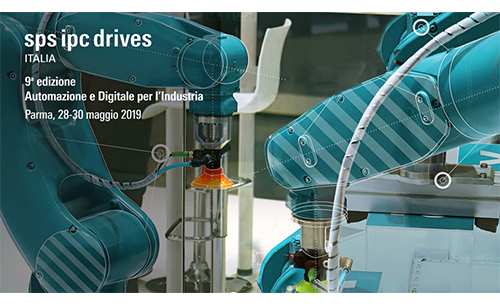 It’s almost time for the 9th edition of the industrial automation and digitalization exhibition, which will take place in Parma from May 28 to 30. A project with more and more contents, which aims at being a reference point for discussing the hottest topics of the industry of tomorrow. In six pavilions, the annual event – one of the most anticipated in this sector – will present many new industrial digital solutions. With the participation of the biggest players of the Italian and global industrial scene (ESA included), SPS Italia 2019 is the perfect stage to talk about the most relevant topics and latest trends in industry. The focus will be on the manufacturing sector and on the key principles of Industry 4.0 and industrial digitalization, including smart manufacturing, Big Data, manufacturing, Industrial IoT, and cyber security. Pavilion 3, 5 and 6 will be dedicated to technologies and software solutions for factory automation and digitalization. In addition to the opportunity to get to know many products up close, visitors will have the chance to discover all the most innovative new applications on the market. ESA will intervene in pavilion 5 (H018-I016) to present its latest news. In pavilions 4, 7 and 4.1, the so-called District 4.0 will take place, a digital transformation path consisting in four areas dedicated to: advanced automation, digital & software, robotics and mechatronics, and the Competence Academy. Why the Competence Academy? This year SPS Italia wanted to highlight the very important issue of digital skills. That’s why, with the participation of universities, research centers and various institutions, the topic of training and investment on operators’ skills will be discussed.